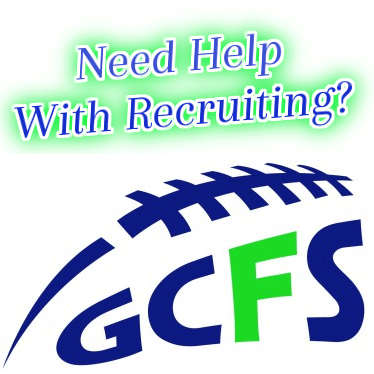 The biggest question mark to begin the 2012 season for Glacier Peak may have been the Quarterback position. In a 42-31 week one win over Lake Stevens, senior Chris Becerra (6-1 215) ended all doubt by going 22-33 for 303 yards and 4 TDs. So far through four games Becerra has completed 60 of 110 passes for 1,064 yards and 12 TDs. Becerra has had plenty of time to work on his form as he spent the last two seasons behind Sr QB’s. 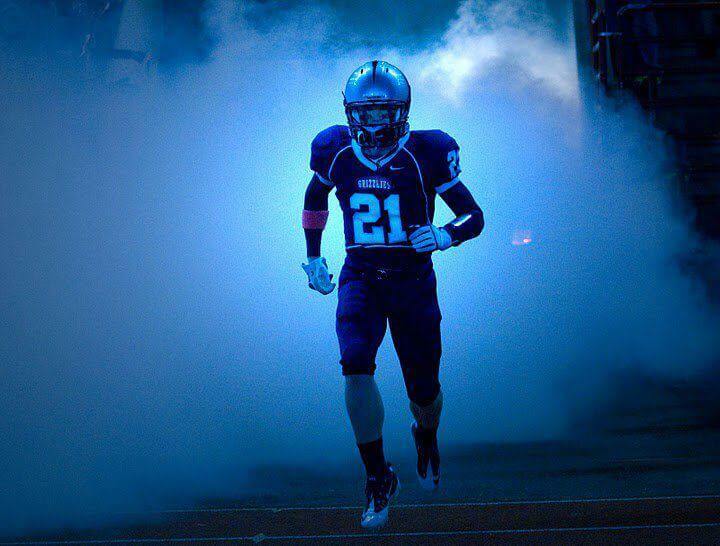 As a Sophomore he was behind the 2010 Wesco 3A First Team QB, Kevin Campbell. 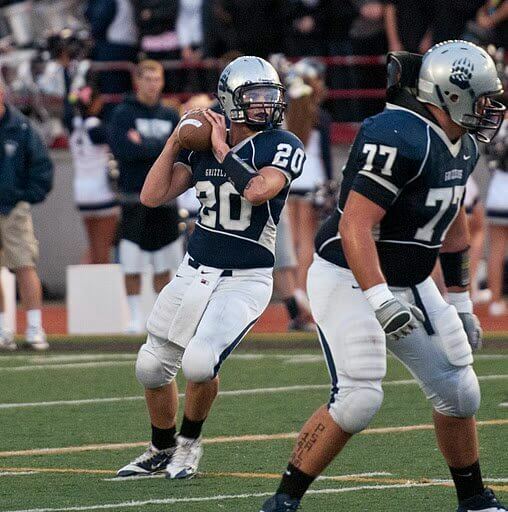 Last year Becerra was behind 2011 Wesco 3A First team QB, David Linney. Although Becerra was a starting DE, that isn’t where he had his eyes. Going into his third year as a starter, Elledge became a team captain (At GP only Sr’s are captains). His playmaking ability is as good as any, but the leadership he brings is something that can’t be measured by yards and TDs. On the season Elledge has 14 receptions for 296 yards and 5 TDs. He has also chipped in with 10 rushes for 90 yards and another score. Becerra has plenty of weapons to choose from while working out of the spread. Along with Elledge at WR are four other Sr’s in Josh May (6-0 185), Marcos Baruch (5-11 165), Cody Campo (6-0 195) and Quinton Dunbar (6-1 215). A good portion of the Grizzlies offense so far has been with the legs of Sr. RB Michael Palmer (5-10 205) who now has 447 yards on only 62 carries and is currently rushing over 7 yards per carry. The Grizzlies are 4-0 and are team we at NEI are keeping a close eye on. Next week they play a Thursday game against Bothell at Pop Keeney that I will be in attendance for. 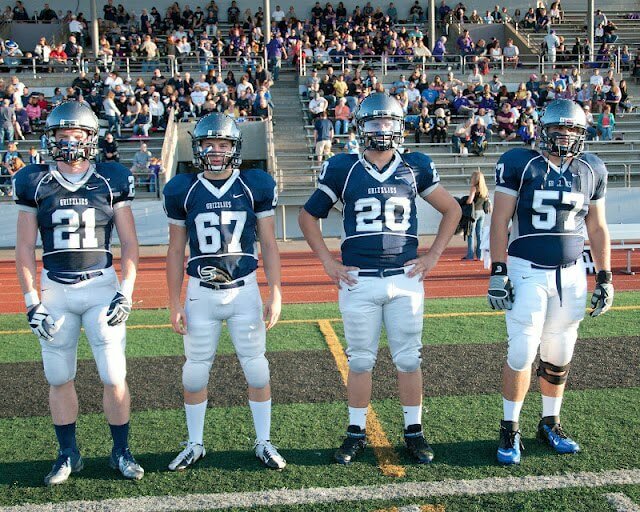 I am very excited to see this great group of seniors go to work against a very tough KingCo opponent.